Please visit 'Reference Sires' page for photos of stallions. 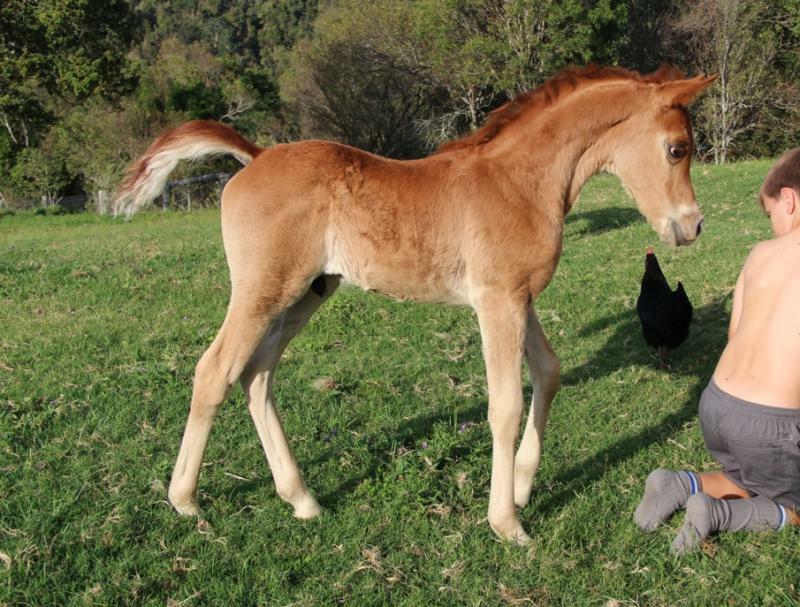 Born 3 weeks early on 6th December 2010 - a chestnut colt!! Top quality, special character, very typey - now a 4yr old gelding. Mature at least 15.1hh. Chestnut colt born 16th September 2012. Tall & athletic! Russian-bred with at least 62.5% Russian bloodlines. Owned by Teresa Emery, who also owns his older maternal brother "Zuhra Zakharii". 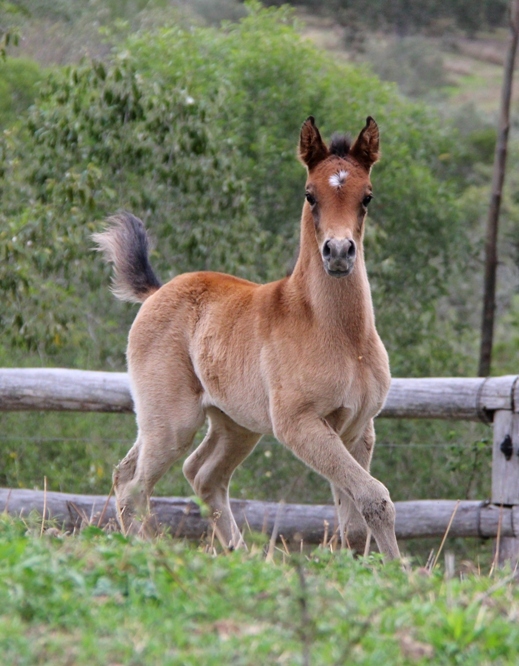 A full brother to the geldings Zuhra Zakharii and Zuhra Zaleksii, born 31st August. Sired by Simeon Sagiv, out of Zsarina Zoya, he is a BIG grey colt, and was sold as a weanling gelding. 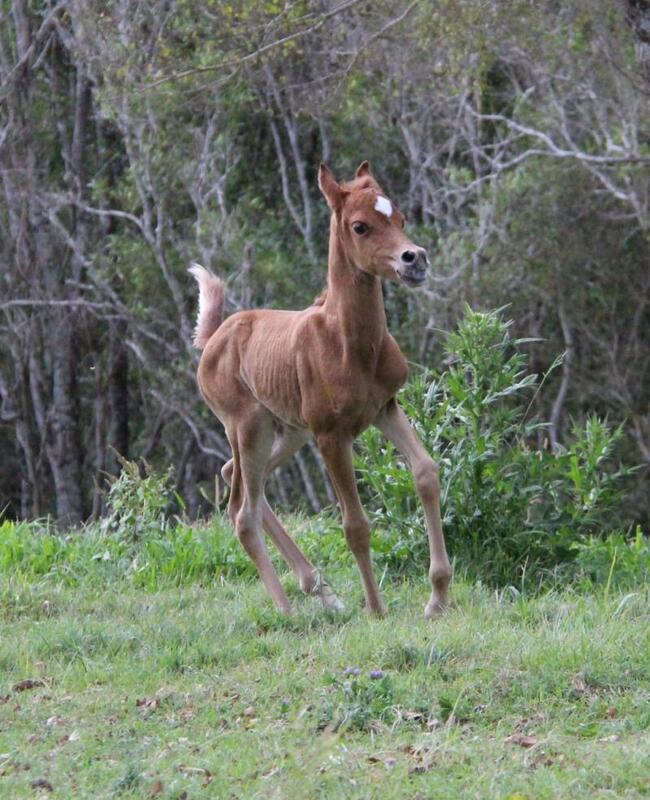 MUCH anticipated straight Egyptian (SE) foal by Jadaan Al Shaqab* out of successful show mare Al-Daniifahh, born 2nd October 2014 - a pretty chestnut colt! Expressions of interest invited from show &/or breeding homes. 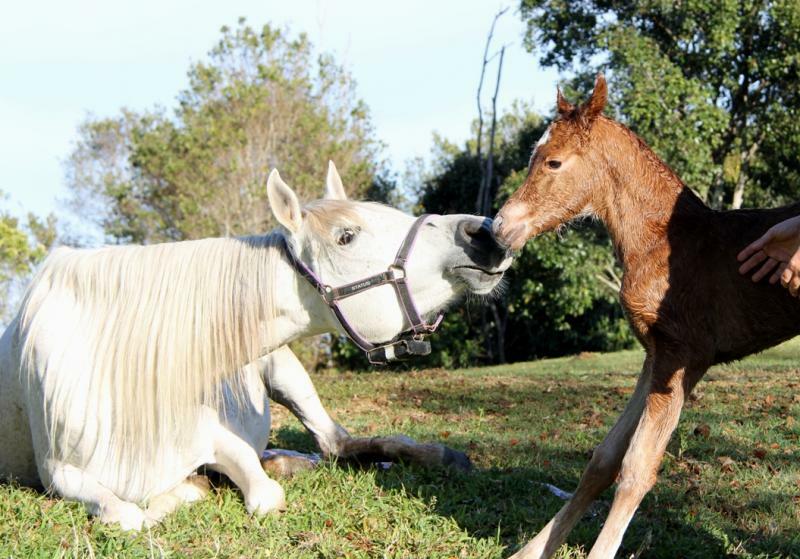 Two special foals due in November 2009. 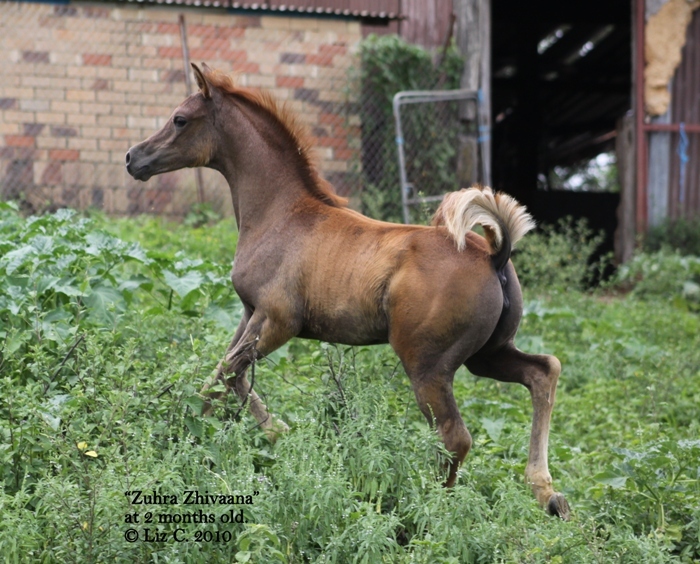 Russian, Egyptian & Hawley bloodlines, both foals will have crosses to Vision*, Naadirah*, Jamil and Aswan. Foal #1: a grey filly! 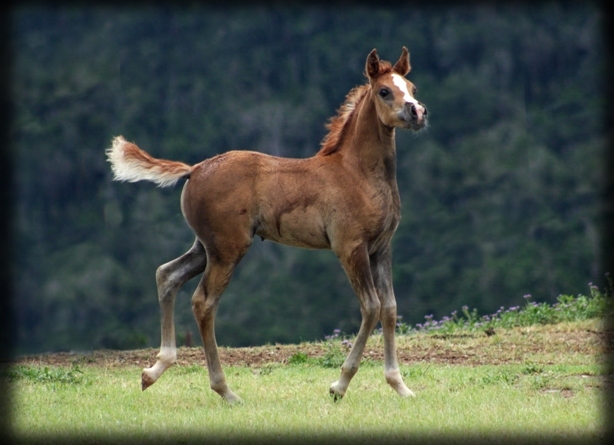 a gorgeous, showy filly with so much STYLE! Being retained as a show filly & future broodmare. 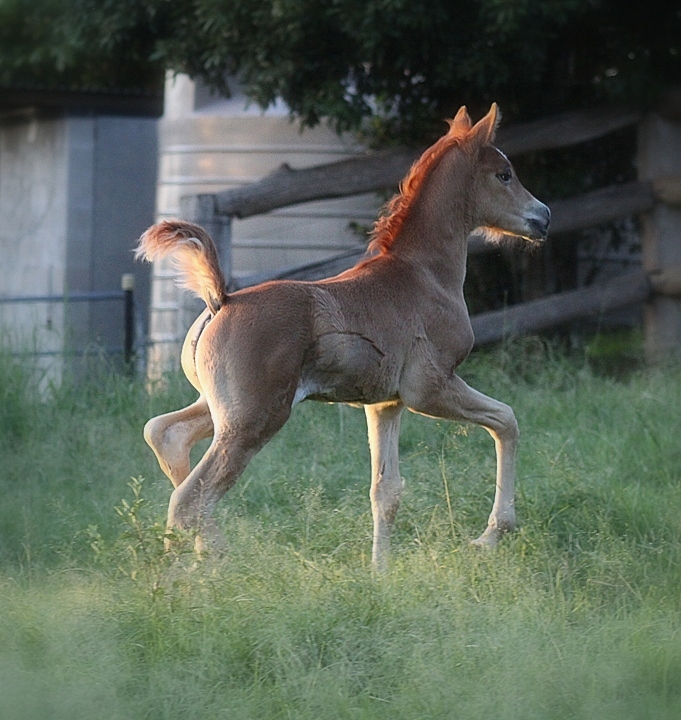 Foal #2: a bay geldingt! a real character, LOADS of type & height, huge eye . Mature 15.2hh. Mating repeated for a 2010 foal. 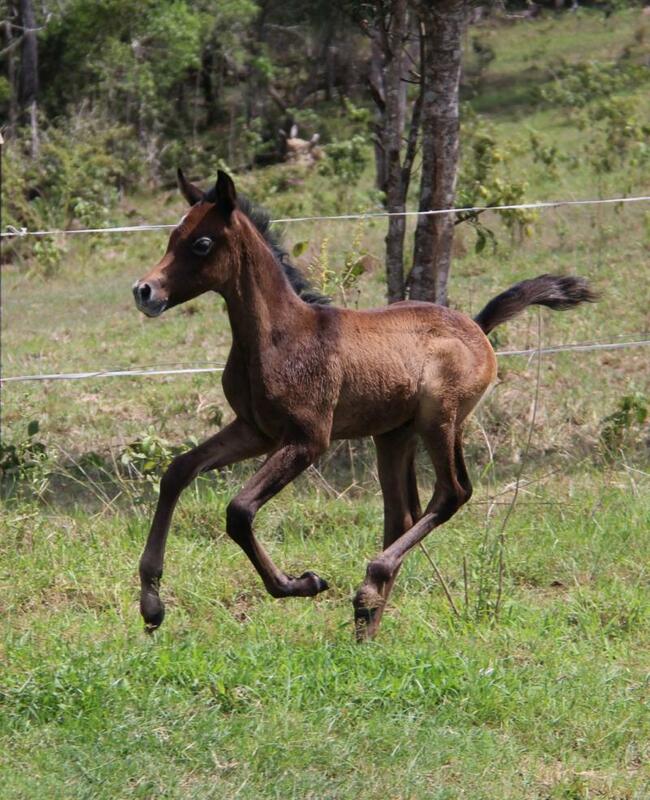 Owned by Teresa Emery (Brisbane) who also owns his younger brother "Zuhra Zhivegnii". See Mares & FOR SALE page for more information.